We are well-known organization of Paver Block Vibrating Table. Our products are widely used in the market due to their longer service life. 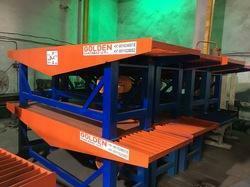 Golden Hydraulic Industries are manufacturing vibrating Table machine last 18 years . we have a high range of vibrating table machine available everytime. 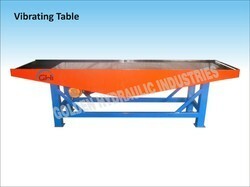 Vibrating table with heavy duty fabrication structure. all material with branded material. 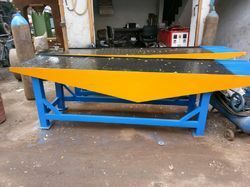 We are engaged in offering Vibrating Table, which is used for multiple tasks in construction industry such as Compacting Concrete Cubes/Concrete Tiles/Concrete Blocks/Interlocking Pavers and many other purposes. Fabricated following well defined procedures, these are appreciated for their sturdy construction and heavy load bearing capacity.